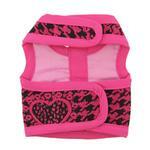 Show your girly pup's cool and loving side with this Celina Dog Harness from Pooch Outfitters! Pink and black heart design. Rhinestone details down back with D-ring. Tweed exterior fabric with pink lining. 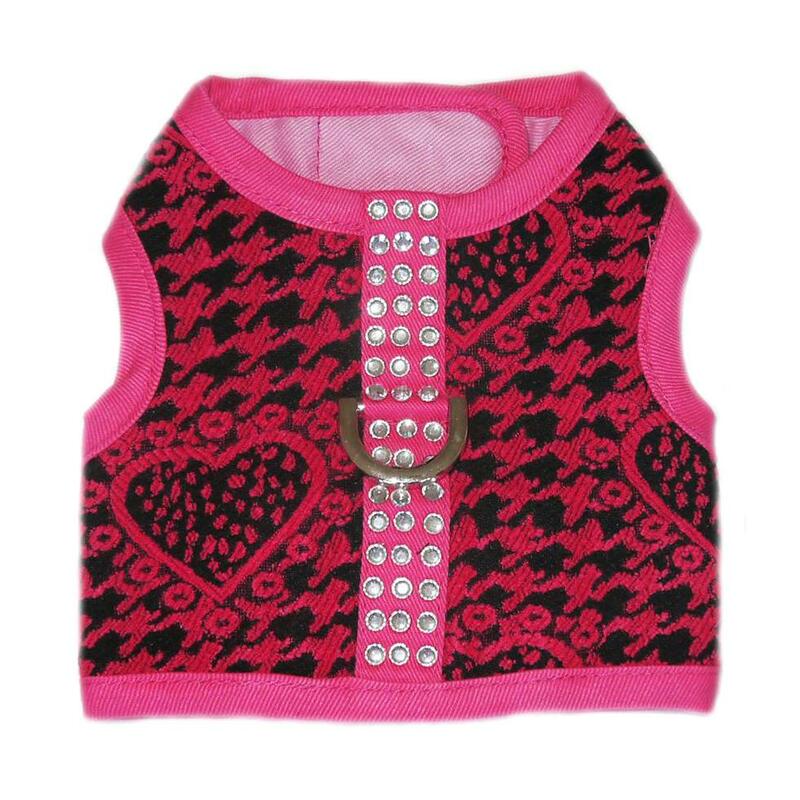 With this fun and flirty harness, your pretty pup will be ready for Valentine's Day or just to go out for a stylish walk! The delicate tweed heart design and rhinestone detail will bring out the love! This 100% cotton harness also includes touch fastener closures for easy attachment and a sturdy D-ring for the best security of your playful pooch. Celina Dog Harness - Pink and Black Customer Photos - Send us your photo! Zoey loves her new harness. She is 7.5 lbs with a 13 inch chest. The small fits her perfectly. Good quality and very well made. I love this vest harness. BaxterBoo always has the season specific variety of items I am lookig for.